This is one of those dishes that takes me back to childhood, and now I make it often for my family. 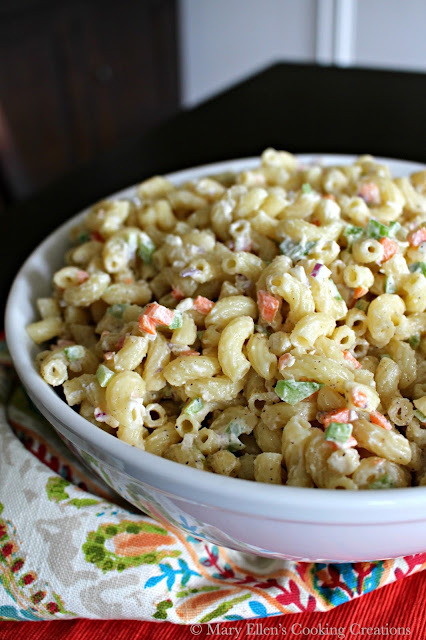 It is such a simple recipe with simple ingredients, but is one of my favorite sides for burgers, dogs, grilled chicken, or really any summer party or BBQ food. 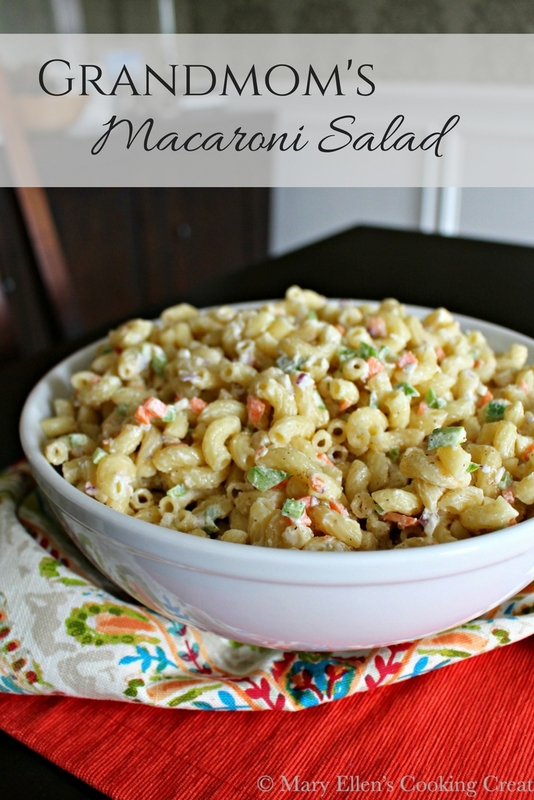 You know those mac salads that you sometimes get at a diner in a little cup and they are all wet with way too much mayo? And they are a bit too sweet? That's not this salad. 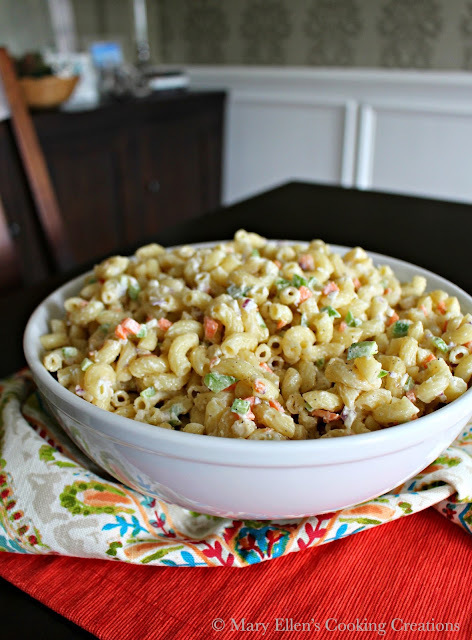 I have a few tips to make this the best mac salad you will every try. First, you have to cook the pasta to al dente. You want it to still have a bite, so definitely rinse it with cold water as soon as you drain it. 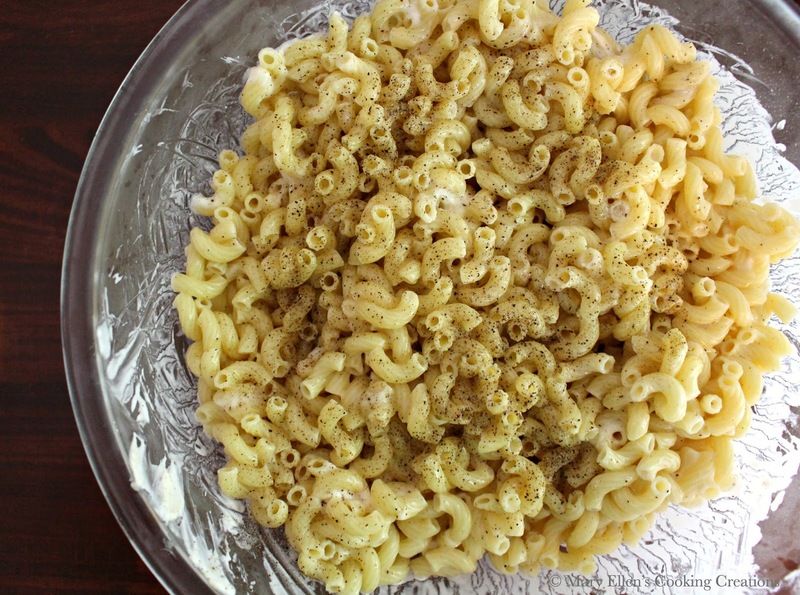 Overcooked, soft mac mixed with mayo is not what you are going for! 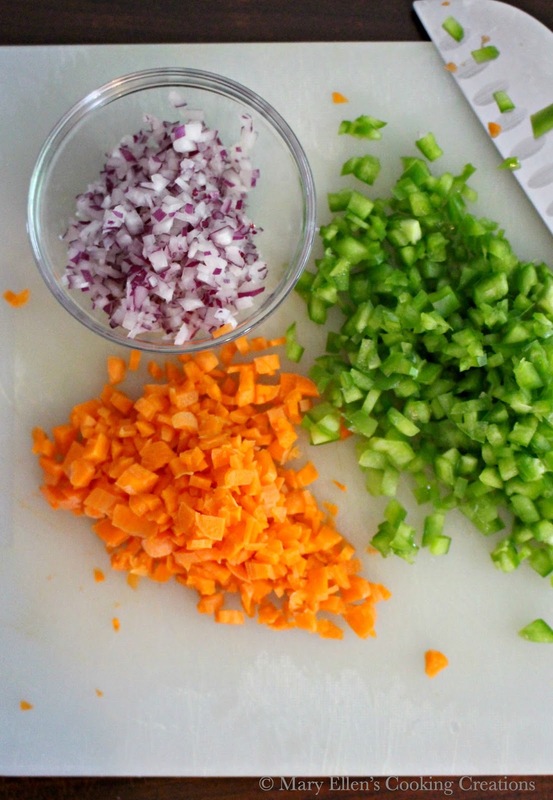 I use only carrots, red onion and green pepper. It's important to dice them into the smallest dice you can get. 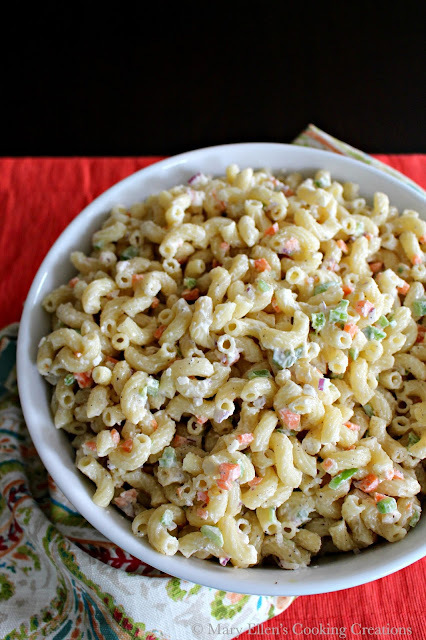 You don't want them to stand out in the salad, but simply give flavor and some texture. I add my mayo in 2 steps and end up with a perfectly creamy mac salad. The first time I add it I mix it up and let it sit in the fridge for about an hour. When you take it out it will look almost dry. That's when I add the rest of the mayo and veggies. Oh - and it must be Hellman's Mayo!!!! Finally, don't be scared to season it! Salt and pepper only, but be generous and keep tasting every time you mix. 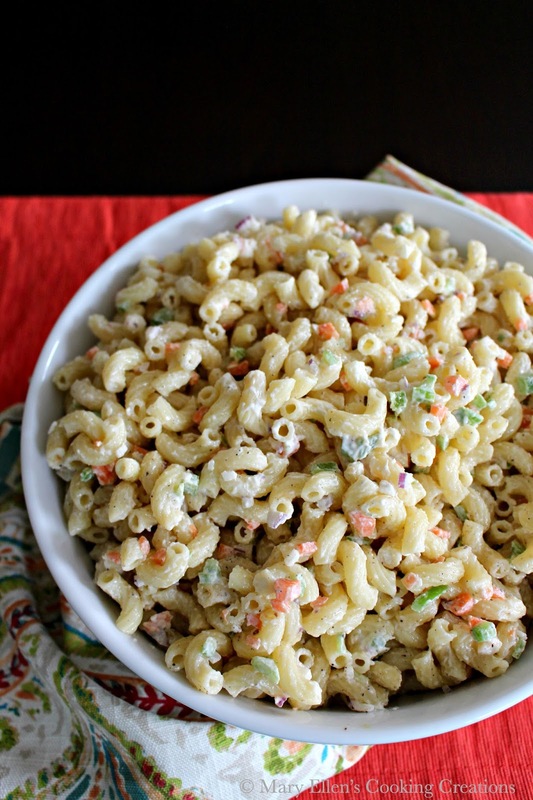 Timewise, this is a really quick salad to pull together. The water takes a few minutes to boil and then the pasta only takes 5 minutes to cook. During that time I chop my veggies, and then the mixing only takes a few minutes. I'll even pull this one together for a weeknight meal as long as I have an hour to let it chill in the fridge. So forget those sweet, wet mac salads that have given macaroni salad a bad name and give this one a try! I guarantee it will be the one everyone asks for! Bring a pot of water to a boil. Salt it generously and then add your noodles. Cook to al dente, approximately 5 minutes. Drain and immediately rinse with cold water and drain well. 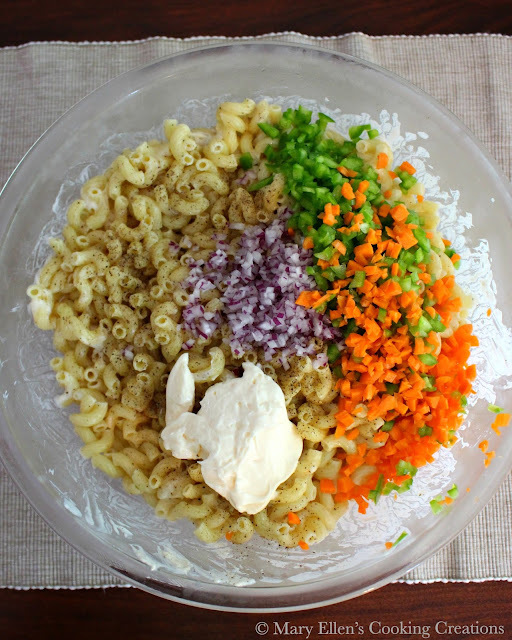 Transfer noodles to a large mixing bowl. Add half of the mayonnaise, salt and pepper. Stir to combine, cover, and place in the fridge for one hour. Add the veggies, and slowly add more mayonnaise until you get the creaminess you want - remember, you don't want it to be too wet. Continue to season with salt and pepper, tasting as you go. Chill until you are ready to serve, stirring before serving. Wow this takes me back. I have to make the for Father's Day. Thank you!